At this very moment I am in Utah enjoying the Grand Vaction. Oh my, what an amazing time. I am looking forward to blogging all about my travels and sharing all the exciting news. For now though I will share the swap card I made. We have been asked to hand in 21 cards - 20 for swaps and one extra for Stampin Up, which they donate to charity. This is different to a 'normal' swap and we hand in our cards to Stampin Up to be collated and redistributed back to the demonstrators. 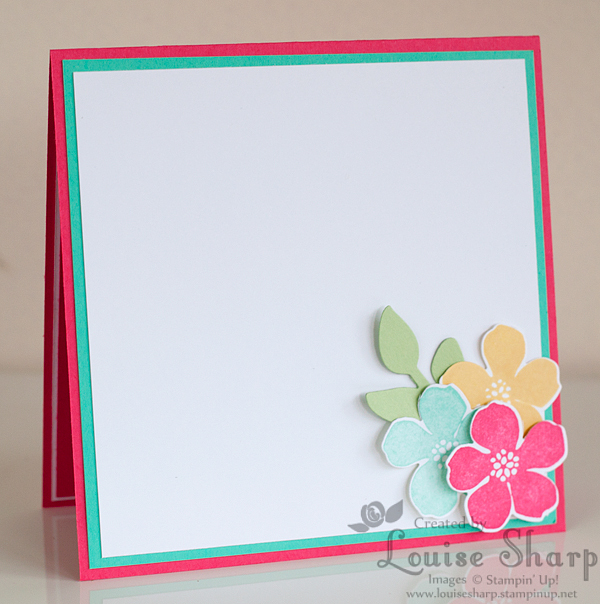 I made this into a full card, as this is the one I will be handing into Stampin Up.